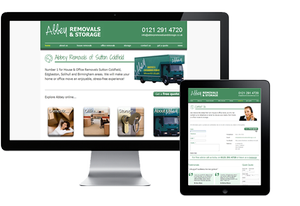 Abbey Removals wanted to boost the number of local visitors leaving their details through the website and requesting a quote. Rather than testing for small conversion, we took the approach that we should produce extensive site changes to yield a higher goal conversion rate. After monitoring the flow of existing traffic we gave the website a new look, changed the structure of the call to action and offered visitors a choice of methods for requesting a quote. We have improve the conversion by over 90%, proving that our strategy of major structure changes equal big conversion changes.